Bio: Stanley turned pro in 2012 and needed less than a minute to win her first fight. 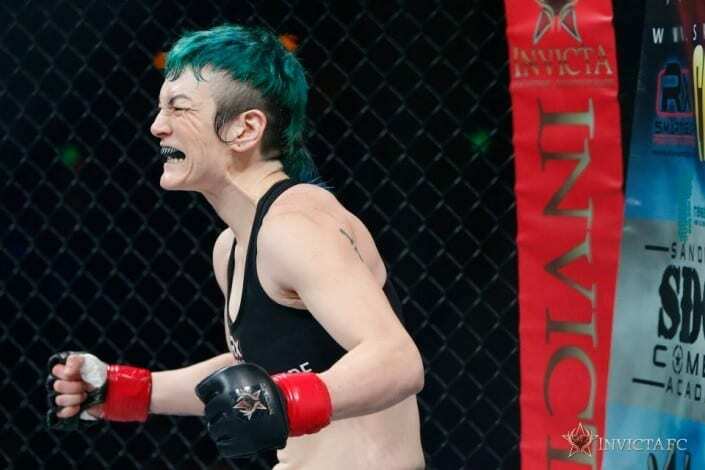 Although she dropped her second bout, the California fighter quickly got back to her winning ways, scoring devastating knockout wins in her next two outings. Her five-second, flying, spinning heel kick finish in her fourth career bout earned a spot on the Invicta roster. She made her debut at Invicta FC 11 in February of 2015. I train 5-6 days a week morning and evening practices between strength and conditioning, Jiu-Jitsu, Wrestling, and striking practice. I loved martial arts movies whit growing up in Taiwan. I watched a lot of Jackie Chan movies when I was very young and absolutely LOVED them. I managed to talk my mother into putting me into Tae-kwon-Do at the age of 8 years old and fell in love with martial arts after that. I would like to attempt to be a vigilante. There aren’t enough crime fighters out there. Achilles. He’s the greatest warrior of all time. I probably wouldn’t last long however. Cloud from Final Fantasy 7. Awesome hair and sword.